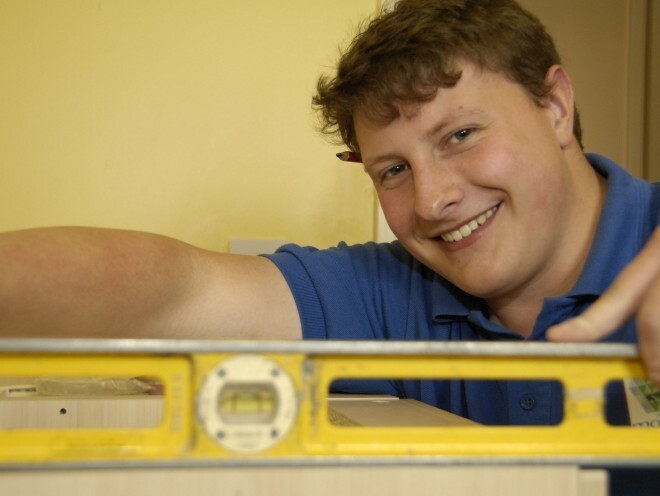 A Moray teenager learning his trade as a joiner has encouraged youngsters in the region to plan ahead for their future as Scottish Apprentice Week gets underway. Matthew Edwards, from Buckie, took up a joinery apprentice with Moray Council after leaving the town’s High School in 2013. The 19-year-old said: “I just thought that to get a trade was a sensible decision – I would be set for a future and always have something to fall back on. “I always enjoyed woodwork at school so joinery was a natural choice. “I like learning a trade and being part of a team. Though it can be hard work, it is interesting and can be a fun experience. Mr Edwards is one of 727 apprentices at work in Moray. Most apprentices are in construction and related businesses, and the majority, 441, are between the ages of 16 and 19. Scottish Apprentice Week is a Skills Development Scotland initiative designed to highlight the benefits apprenticeships can bring to young people and businesses. James Johnston, chairman of the Moray Strategic Business Forum, said: “A modern apprenticeship is good for both employees and employers – it affords a very real partnership.